On Wednesday, October 3, a majority of Americans received a text message with the header “Presidential Alert.” That’s right: The President of the U.S. texted you — sort of. The message wasn’t political pandering, or merely a chance to say hello, but rather a test of the Federal Emergency Management Agency (FEMA) messaging system designed to warn people about disasters — and allow the president to quickly communicate with the American people in the event of emergencies. The message itself read, “THIS IS A TEST of the National Emergency Alert System.” It’s basically a mobile version of the same types of tests that are commonplace on TV and radio. It is not the first time that mobile networks have been used for similar messages. For example, Amber Alerts, which warn the public about a missing child, have been sent to cell phones for some time. One thing worth noting is the effort that FEMA made to prepare the public for this test. In addition to the organization’s press release, the message itself contained the words “THIS IS A TEST.” FEMA is likely hoping to avoid a repeat of the debacle surrounding Hawaii’s system test, which sent out a false alarm regarding an inbound missile. 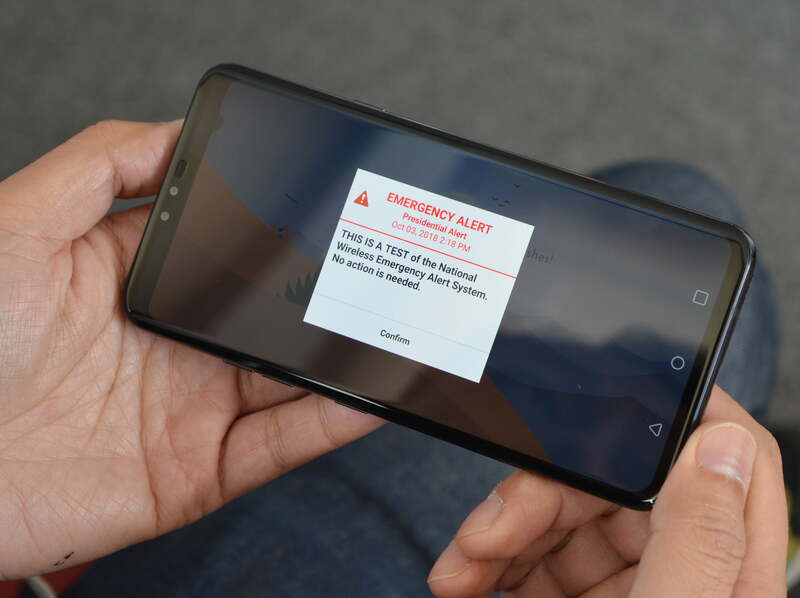 While this particular test didn’t make mention of any specific emergency, many people probably are not familiar with the presidential alert system, so the precautions were warranted. Assuming your phone is on and your wireless provider is part of the wireless emergency alert system — more than 100 carriers are — you should’ve seen the message appear on your phone at around 2:18 p.m. (ET). Of course, as you might expect Twitter had a field day with the alerts. Once you receive the alert, you can easily clear it from your notifications or lock screen. While you can’t turn off Presidential alerts, it is possible to turn off AMBER alerts for both Android and iOS.